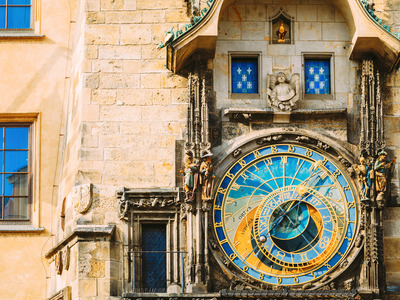 Ryhor Bruyeu / iStockThe astronomical clock in Prague’s old town square. I lived in Zurich, Switzerland, for five years growing up, and my family took that time as an opportunity to travel as much as possible. These travels exposed me to new cultures, and left impressions and memories that will stay with me for the rest of my life. From the beaches of southern Portugal to the canals of Amsterdam, here are the spots I consider must-sees. 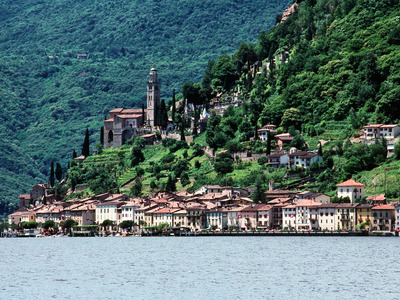 Morcote is located on the shores of Lake Lugano, in the Italian part of Switzerland. It has the best of both worlds: Italian charm and Swiss cleanliness. 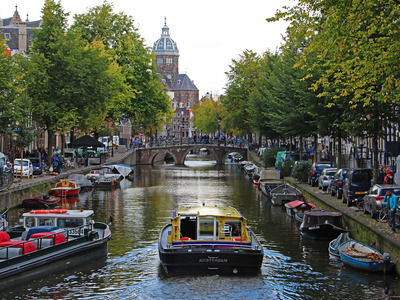 Besides Amsterdam's obvious tourist draws -- legal marijuana and the Red Light District -- its canals are incredibly picturesque and a great way to see the city. 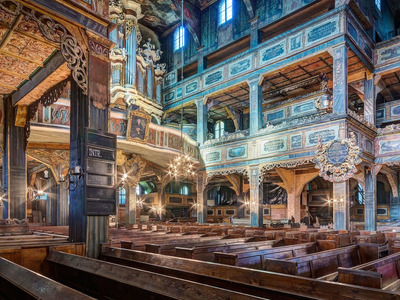 The Church of Peace in Świdnica, Poland, is one of three 17th-century wooden Evangelical churches built in Southwestern Poland. The magnificent interior is stunning. 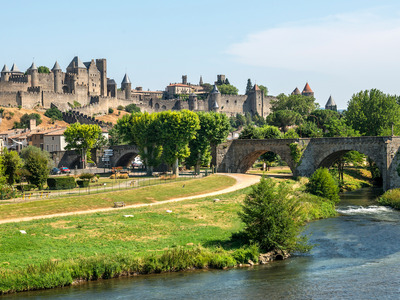 The medieval town of Carcassone in France -- complete with a castle and Gothic Cathedral -- is still fortified, meaning it's completely surrounded by two lines of walls. 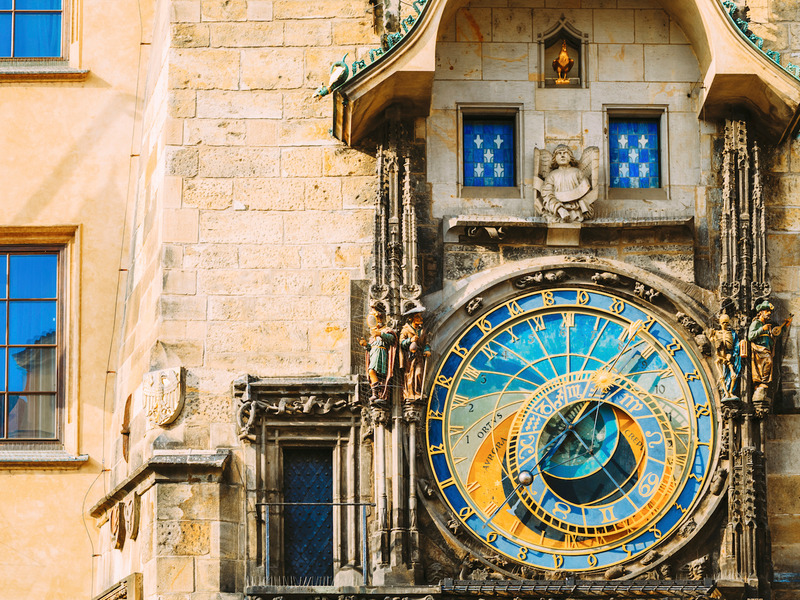 Located in the old town square in Prague, this 600-year-old astronomical clock features a procession of apostles, a skeleton ringing a bell, and a golden rooster among other characters in a performance that occurs every hour on the hour. 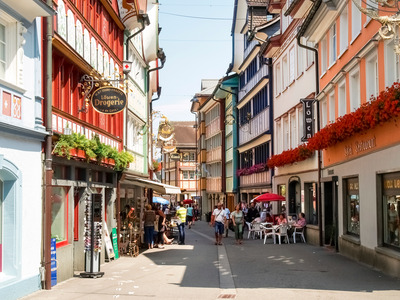 If you're looking for traditional Switzerland -- rolling hills, painted chalets, cow bells, and goats -- Appenzell is your answer. Natives of the town still sometimes wear traditional dress and follow customs that are centuries old. 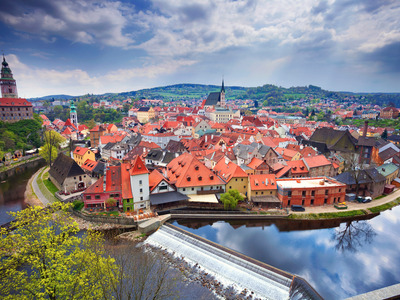 Located in the Czech Republic on the banks of the Vltava River, Český Krumlov dates back to the 13th century, and its architecture has remained intact since. 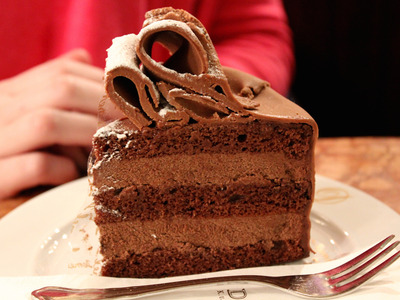 Vienna's Demel will give you a glimpse into the city's café society. Enjoy your treat in the back seating area where you can watch the bakers hard at work. 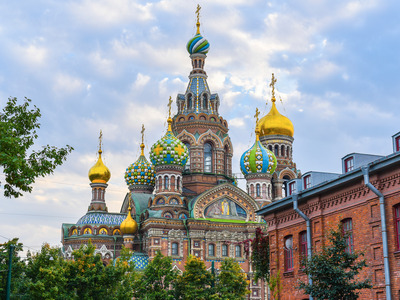 Located at the site of the 1881 assassination attempt on Alexander II, the colourful Church of the Saviour on Spilled Blood in St. Petersburg, Russia, boasts an interior covered in mosaics. 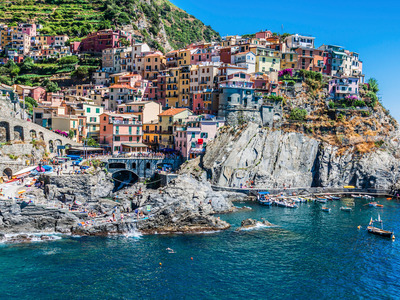 Although it's not the hidden gem it used to be, Cinque Terre, Italy, with its narrow winding roads, pastel homes, and amazing views of the Italian Riviera, is still well worth a trip. 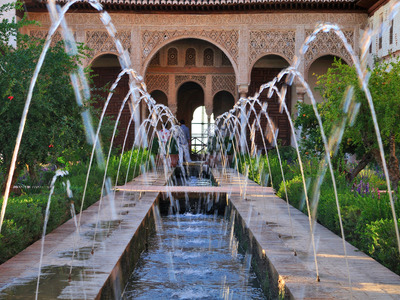 The Alhambra in Granada, Spain, is a fortified palace with gorgeous gardens and opulent Muslim-influenced architecture. Be sure to plan ahead and make reservations if you want to visit. 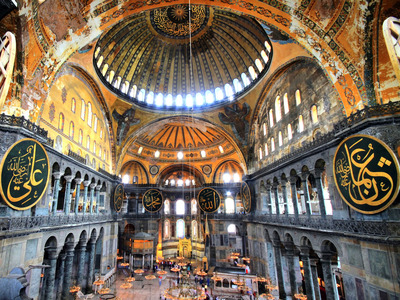 Istanbul's Hagia Sophia is a mosque turned museum that started off as a church built for the Byzantine and Ottoman Empires. Its dome and sheer size are mind-blowing, not to mention the marble that makes up its interior. 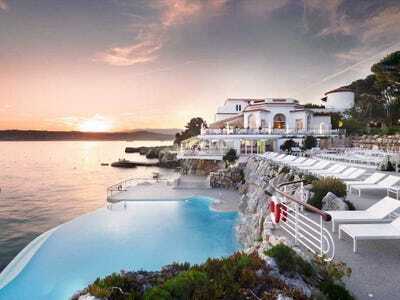 I never actually stayed at the luxurious Hotel du Cap-Eden-Roc in Cap d'Antibes, France, but a friend and I did stop for lunch and then pretend to be hotel guests so we could lounge at the pool. 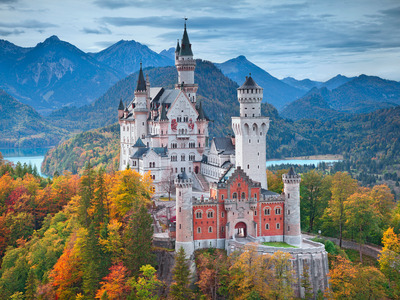 The awe-inspiring, 19th-century castle of Neuschwanstein is nestled among the trees in Germany's Bavarian Alps. It's straight out of a fairy tale, and is said to have inspired the Disney castle. 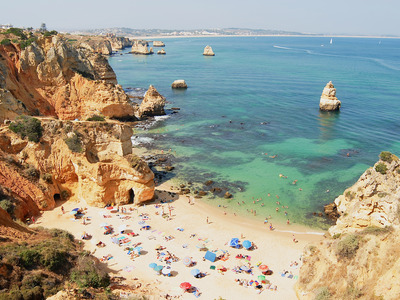 Praia Dona Ana in the southern town of Lagos, Portugal, is straight out of a postcard: clear, bright blue and green water, soft white sand, and compelling rock formations.